Facebook Pixels – Are You Using Them Properly? On today’s #techtiptuesday, I have a challenge for you. 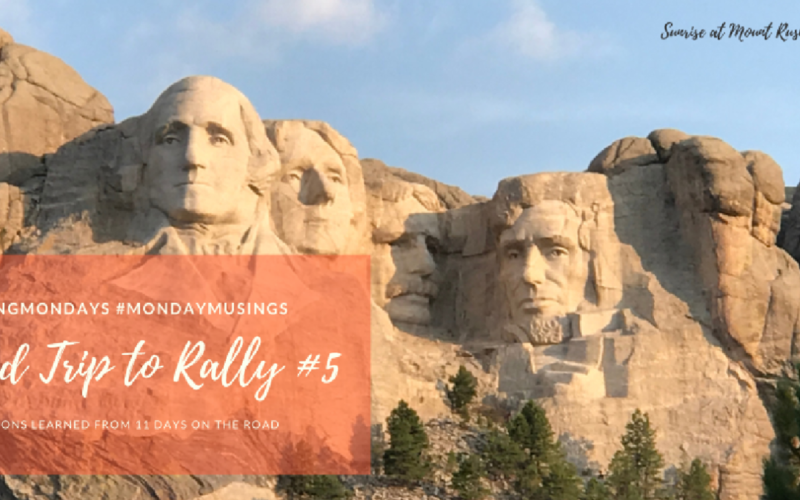 Welcome back to fifth installment of Marketing Lessons from the Road.Our second annual #roadtriptorally (The 2017 More Than Just Great Dancing Member Rally) is in the books and I wanted to share my second big paradigm shift (or ah-ha moment that actually been festering for quite some time). When one spends 11 days traveling, enjoying new experiences, and being responsible for safely transporting 2 kids and a mom across country, beliefs and norms get challenged. Moving outside of the comfort zone allows for growth and that’s exactly what I experienced this summer. Happy last week of August! I cannot believe that summer is already over and the new teaching year is upon us! 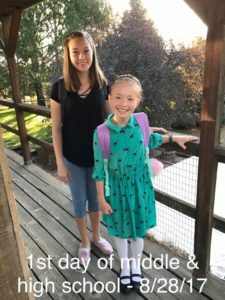 My daughters began Middle School and High School today which makes me both excited and a bit sad. They’re growing up way too fast and it’s a bittersweet time of year. We have 2 more weeks to prepare for the kickoff of our 17th Season on September 11. Before we dive into the second paradigm shift I experienced this summer, I want to say welcome and thank you! If you’ve new to the blog here at the Tech Savvy Studio Owner, Welcome! If you’re a returning reader – THANK YOU! It means so much that you are here. It’s been an epic summer! For the first time in 16 years, I didn’t teach. In fact, the studio wasn’t even open for classes. It felt great to experience summer as a mom and take off the studio owner hat for a bit. After this little hiatus, I’m ready to dive back in feet first and make 2017(our 17th) the BEST season ever! Are you ready to take on the new season? Last week I shared my first paradigm shift on our #roadtriptorally: You cannot copy someone else’s success. Rock the boat MORE. Piss people off MORE. Go boldly into the world MORE. Up until fairly recently, I was someone that never wanted to rock the boat. I didn’t want to hurt anyone’s feelings. I didn’t want to be the cause of tension or create rifts. In one of the audios Darren mentioned that one of his goal was to piss off more people. Even in presidential elections, he shared, nearly half the voting population voted for the other candidate. I need to piss off MORE people. I don’t need to be liked by everyone. I need to rock the boat more. I need to put fear and self doubt aside to live my greater purpose and vision. I don’t need all the students. In fact, I don’t want most of the students. I just want the students and families that wholeheartedly believe in our mission, our philosophy, and our bigger vision. In my case, I no longer accept every student that comes to the Academy. Sound harsh? I don’t think so. As business owners, WE are the creators of our vision. We make the decisions. Our business doesn’t need to look like the one across the street or country. Years ago, I was listening to some trainings about business models. One of the case studies was for a dentist in Australia that shifted his business from walk in, take everyone to referral only. He likened his business model to one of a country club. Instead of accepting every patient, he only works with those that are referred by his current patients. There was even an interview process with each new patient to ensure that they’d be a good fit AND that referrals were part of the acceptance process. I didn’t know such a business model existed! Since then, I’ve been longing to shift into this Country Club Model of membership driven by referrals and interviews. And now I’m there. Have I pissed people off by not blindly opening the doors to everyone? Am I being exclusive? Are people choosing NOT to apply because there are more steps to get involved. Am I okay with that. Absolutely, YES! Now, anyone wishing to be part of our tribe must be referred by a tribe member or complete an interview and a trial period. Putting up with demanding parents that complained about EVERYTHING. Not saying what I really wanted to say when parents attacked the way we do business or the staff that works tirelessly to create amazing experiences. Parents just looking for a babysitting service while they ran errands. This mission is why we continue to offer weekly music lessons and dance classes 16 years later. It’s the reason behind the Raising smART Kids 2.0 Podcast. Listen to the Podcast HERE. It’s the reason why my first book, Raising a Superhero: How to Unleash Your Child’s 8 Unique Super Powers & Propel Learning Through the Arts was written. Get your copy on Amazon. It’s the reason why I am passionate about helping you, my fellow studio owner. I want to help YOU tell YOUR story as only YOU can. I want to help you harness technology and use it for good — to shout the benefits of the arts from the rooftops; to get you in front of the right people; to bring in more students (if that’s your goal); to make a bigger impact! As your new teaching season unfolds, how can YOU piss off more people? 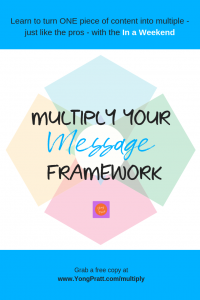 What shifts do you need to make to make your business EVERYTHING you know it can be? Join me over at the Tech Savvy Insider and let me know. P.S. Do you have too much on your plate with the new season quickly approaching? A Virtual Assistant is a Staffer I believe EVERY Studio Owner needs. Find out what a VA is and what one can do for your business! Grab my FREE Guide Below. Get More Stuff OFF Your Plate – Hire a Virtual Assistant Today!